Some years ago I found a whole bunch of Northern Soul/Funk 45´s in a thrift store in my street. 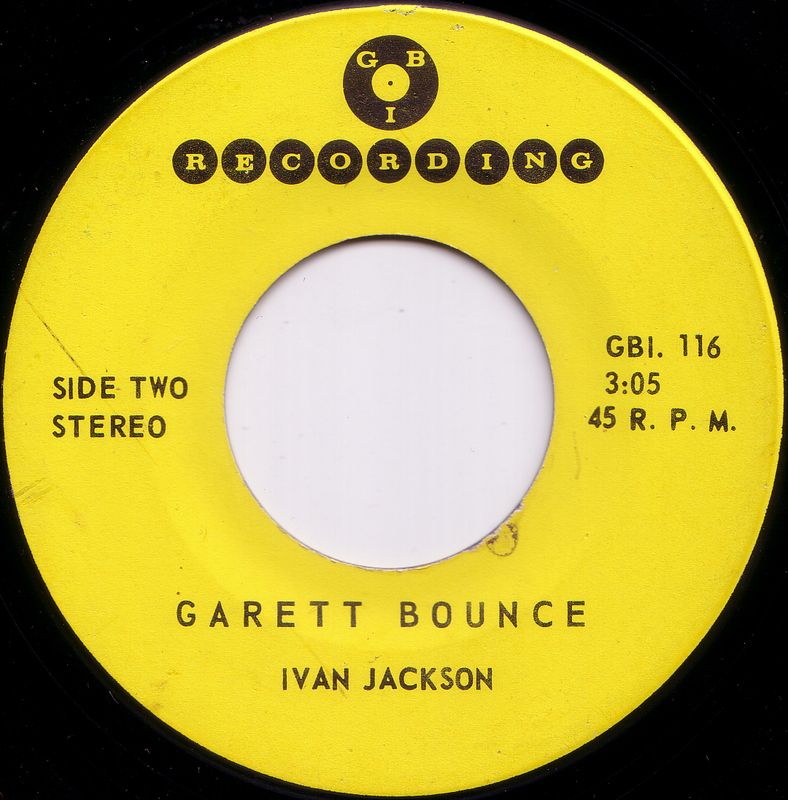 I don´t know how they ended up in that store but those were my biggest finds ever, at least when it comes to US 45´s : ANDRE WILLIAMS It´s Gonna Be Fine In ´69/Do the Popcorn on Checker, VERNON GARRETT & MARIE FRANKLIN Second to None/Without You on Venture, ESTHER WILLIAMS He Don´t Appreciate it/Mama on Flying Dutchman and many more. Most of them DJ/white label copies in very good condition with company sleeves. I was virtually able to start dj-ing Northern Soul sets with that small collection I bought on that day in my little street. This particular record was one of them and it turned out to be quite interesting. From listening to it I couldn´t quite put a label on it. It´s not Soul, not Rock´n´Roll, not Rhythm & Blues but what a racket! IT IS WILD! Then I did a little research and found out that Tony McKay is really Exuma. Exuma was known for his almost unclassifiable music; a strong mixture of carnival, junkanoo, calypso and ballad. Mac Farlane Gregory Anthony Myckey, who recorded as Exuma, was born February 15, 1941 on Cat Island (Bahamas) to Ms. Daisy Mackie and died in Nassau in the Bahamas on January 25, 1997. 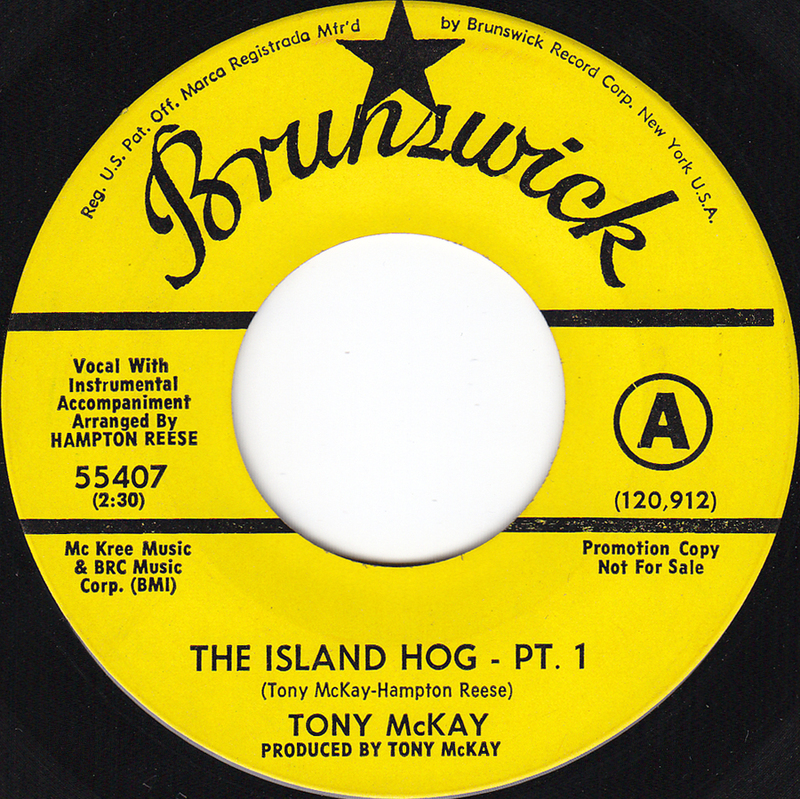 In his early days in New York’s Greenwich Village, Tony McKay (his self-given name) performed in small clubs and bars. Later, along with his then-partner and lifelong friend, Sally O’Brien, and several musician friends, Tony launched EXUMA – a 7-person group that toured and recorded albums, starting with Exuma: The Obeah Man in 1970 and ending with Rude Boy in 1986. Now, everybodde, let´s do the HOG, ISLAND HOG! Like ROCK´N´ROLL!!! OINK,OINK,OINK!!! EVERYBODY OINK OINK!!! SCREEEEEAm BABY!!!!! AAAAAAAAAAAAAAAAAAAaaaAAAAAAAAAaaaaaaaaaHHh!!! Paradise Island is currently the most expensive place to stay in the Bahamas. The small island was not always so glamorous, however. Paradise Island in the Bahamas was once known as Hog Island and was a major site for farming in the Bahamas. Paradise Island in the Bahamas is situated near New Providence, and the two islands are connected by a bridge between Paradise Island and Nassau Harbor. 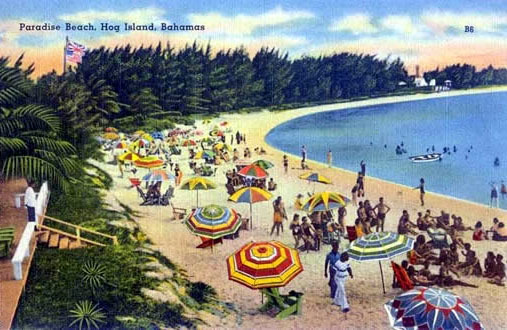 Hog Island first became Paradise Island in the Bahamas when the island was purchased by Huntington Hartford in 1959. Huntington was the A&P Supermarket Heir and paid more then $11 million for the island. Huntington was the first entrepreneur to begin developing Bahamas Paradise Island and built the first major hotel on the site. Huntington changed the name of the area from Hog to Paradise Island, and was also responsible for obtaining a gambling license for Bahamas Paradise Island. His opening of Paradise Island in 1962 was covered in Newsweek and Time magazines. Paradise Island was purchased in the 1980s by Donald Trump for $79 million, then sold to Merv Griffin for $400 million. It was last sold for $125 million to the current owner, Sol Kerzner. The current estimated value of the island is about $2 billion USD. Both the Beatles´Help! and James Bond´s Thunderball were partially filmed on Paradise Island. 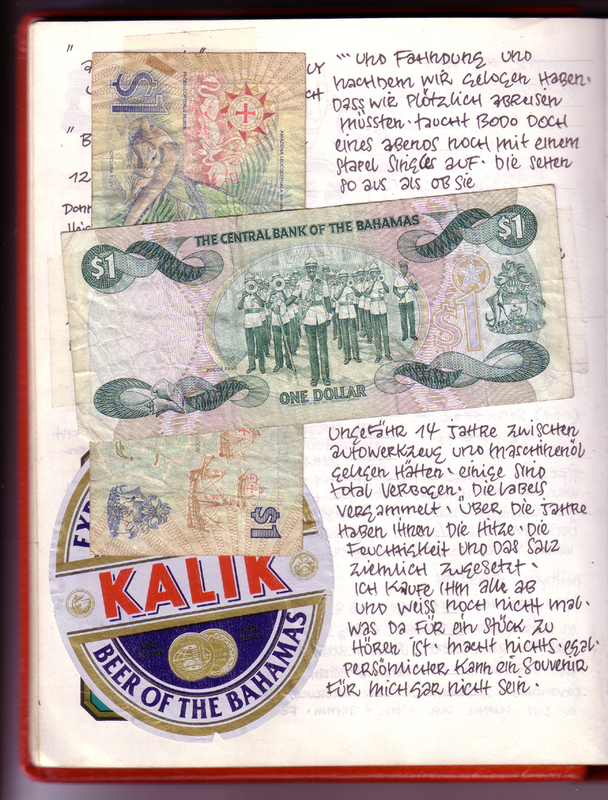 Fourteen years ago I went to visit my uncle Eberhard on the Bahamas together with my then girlfriend Minou. My uncle has lived on Long Island, Bahamas for almost 40 years, working as a electrical engineer. I had never been there and I remember that I was really impressed by the beauty of the island. 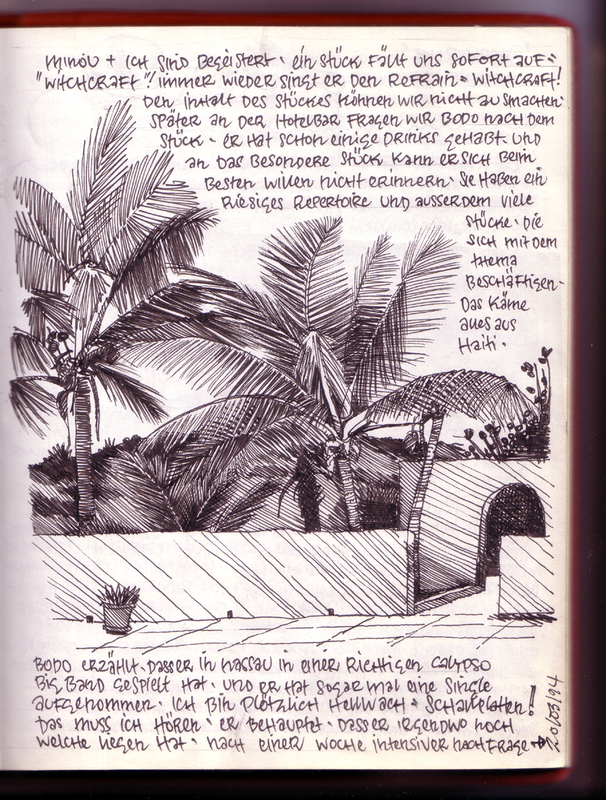 When I came back home I wrote a little story about it in the comic book “Artige Zeiten” that I was doing at the time. It´s still available through Reprodukt. 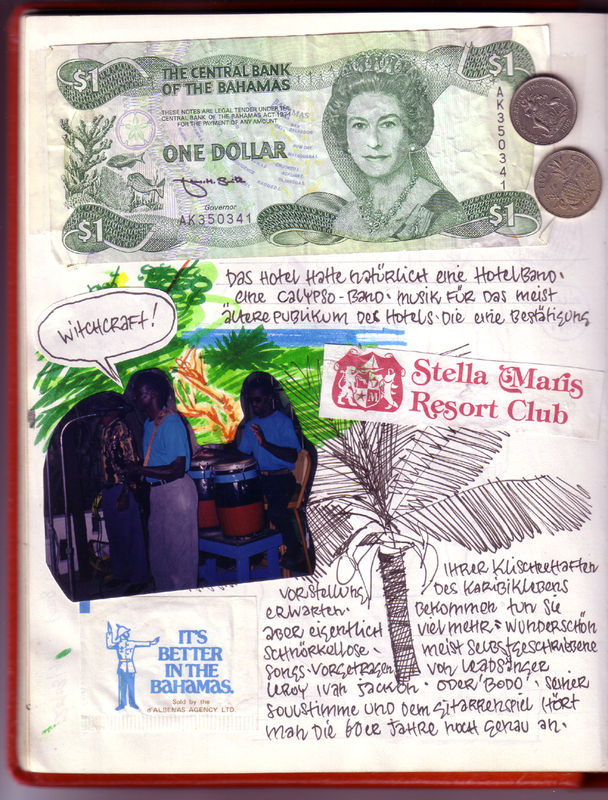 “Naturally the hotel also had a hotel band, a calypso band. Music for the mostly elderly audience of the hotel who expect a confirmation of their cliche idea of Caribbean life. What they do get is actually much more: beautiful, simple, mostly self-written songs, performed by lead-singer Leroy Ivan Jackson or “Bodo”. His guitar playing and his soulful voice still sound exactly like the 60`s. Minou and I are in awe. Especially one song catches our attention:”Witchcraft” . He keeps singing the chorus:”Witchcraft” but we can not make out the rest of the lyrics. Later at the hotel bar we ask Bodo about the song. He has had some drinks and to the best of his knowledge, he can not remember this particular song. They have a huge repertoire and also many songs covering that subject. It (“witchcraft”) would all be coming from Haiti. Bodo tells us that he had played in a real calypso big-band in Nassau. And he had even recorded a 45 once. Suddenly I`m wide awake: records! I gotta hear this. He claims that he still has some of them laying around somewhere. After a week of intensive enquiry and investigation and after lying, that we we had to suddenly leave to go home, Bodo finally appears with a stack of records. They look like they had been stored between car tools and machine oil for approximately 14 years. Some are totally bent. The labels have mold on them. Over the years the heat and the humidity and the salt have really left their mark. I buy them all off him and I don`t even know what songs are to be heard on the record. Doesn`t matter. I don`t care. A souvenir couldn`t be more personal for me than that”. 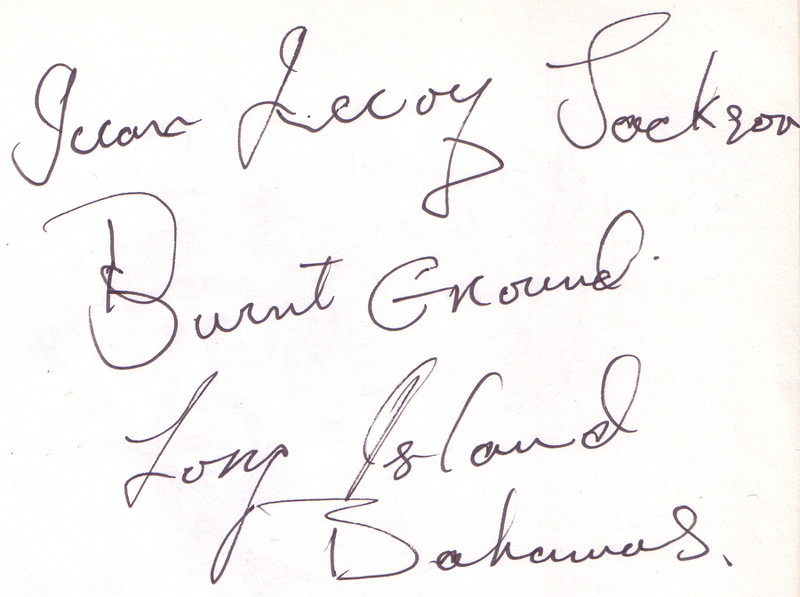 I remember my uncle driving us in his jeep on the dirt-roads of Long Island over to Ivan Jackson`s house. On appointment and he wasn`t there. And then meeting him in the hotel bar again when he brought the records. My uncle said:”Now he just made the bargain of his life!” He thought I was completely stupid to buy a bunch of bent and moldy old records. 14 years later I still like these two Ivan Jackson originals a lot and apart from a couple of copies that I gave away to friends I`ve kept them all. But now I also feel kind of bad that I took these records from him, even though he didn`t care for them at the time and even though they are in very poor condition. I tried to find something about Ivan Jackson on the Internet but the only mention was on the myspace-site of the Hip-Hop group RIVAL SLANG from Nassau, Bahamas that featured a MC Marlon Jackson. I contacted his site and it turned out that Marlon Jackson is the son of Ivan Jackson! Now myspace is not that bad is it? His father is still living on Long Island, Bahamas and playing. I`m going to send one copy out to Marlon tomorrow because he does not own one. And now let yourself be taken to the Caribbean and enjoy the music. 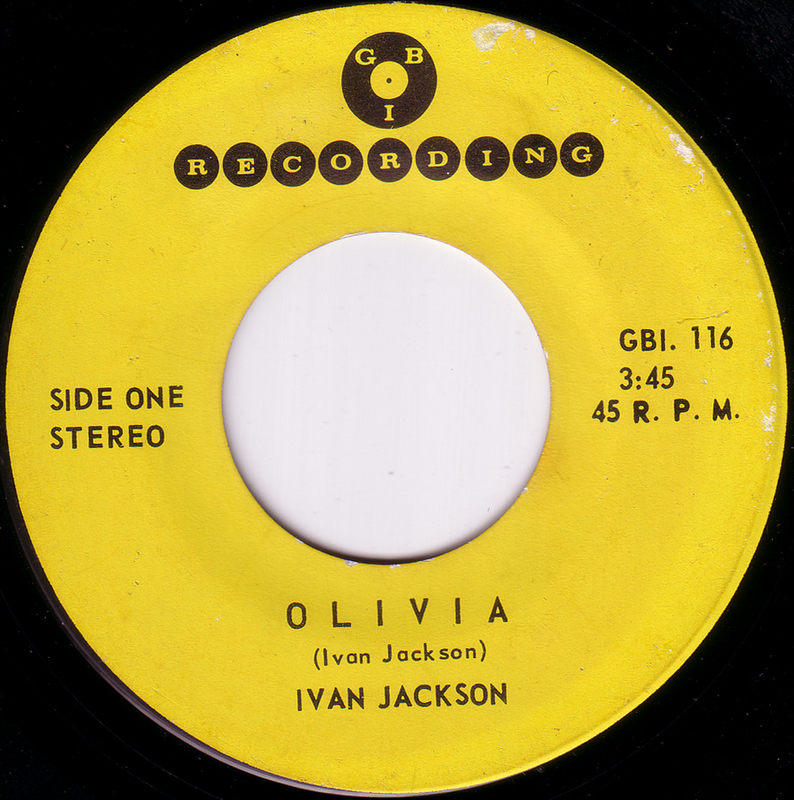 The a-side is a slow, soulful ballad that sounds like Ivan Jackson had listened to a lot of Otis Redding.The b-side is a mid-tempo calypso song about life on the islands. Like I wrote 14 years ago: simple and beautiful.